Ball® have recently launched their home preserving products into the South African market and the PR for the company approached me to host a give away on my blog. I was sent the Home Preserving Starter Kit to experiment with, so that I could give you some feedback about my experiences. Jarden Home Brands, makers of Ball® home preserving products, have been inspiring home preserving in kitchens since 1884. 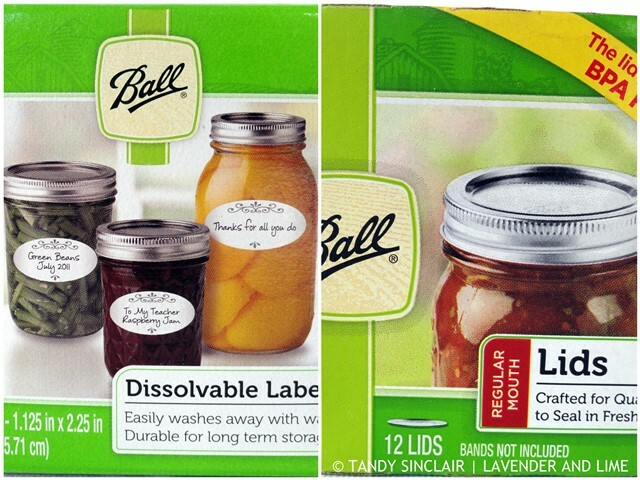 Ball® brand glass preserving jars with two-piece lids remove air and create a reassuring vacuum seal; which along with following our recommended preserving method, is essential for the safe preserving of foods for up to one year. With both the preserving products and the 3 Simple Steps to Preserving method available for the first time in South Africa, preservers can spend more time enjoying their deliciously preserved foods than being in the kitchen. The starter kit arrived at my office in a box and contains a preserving jar basket, 3 Ball® Pint Jars with lids and bands, a lifter, a funnel, a solid spatula and a home preserving guide & recipe booklet. All I needed at home was a large stockpot in order to do water bath preserving. The basket comes with a handle that needs to be assembled, but having it on prevented me from being able to close the lid of my pot. As I used the lifters for the glass jars, the handle seemed superfluous and I won’t bother to assemble it again and use it in future. If you are using the box for storage like I am, the handle has to be taken off each time otherwise the box won’t close. Given that this is an American company, the jars and recipes use American measures. I was asked to test a recipe from the site and it is recommended that you do not change the recipe at all. I chose a recipe from the South African website for Cranberry Sauce which is touted as a Thanksgiving recipe. I don’t know anyone here who celebrates this American holiday, but given that Christmas is just around the corner and I am making turkey, I decided this would be a great recipe to try. I did not want to make too much as I tested the recipe using sugar and frozen cranberries as I could not find any fresh ones. Dave helped with the tightening of the band, and I think he left it a bit too loose as the lid flexed after preserving. I have since decanted the sauce into a sterilized glass jar which I will take with me on Christmas Day. I tested a second recipe as I usually adapt the recipes I make to use fructose. 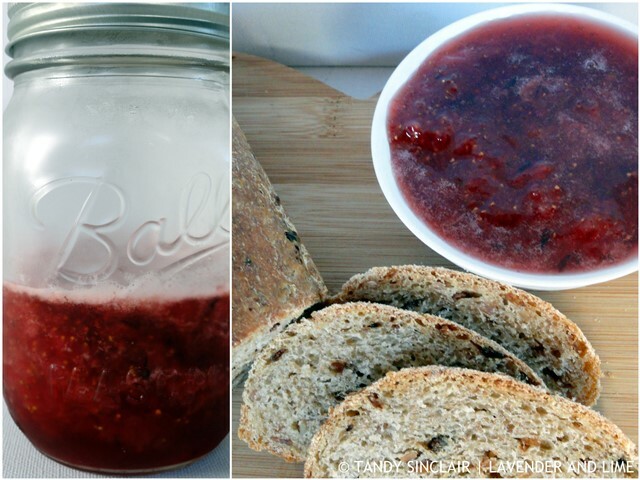 I made strawberry and lavender jam that is loosely based on the recipe for strawberry jam in the booklet. This time I got the band tightening spot on, and the jam was perfectly preserved. Not only that, it tastes amazing. 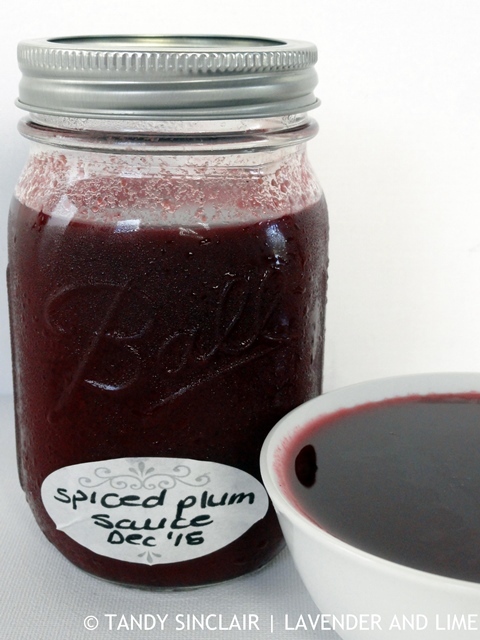 And to ensure that the Ball® jars are adaptable to any recipe, I made spiced plum sauce from my Preserve book. And it worked like a charm. This time the lids properly vacuum sealed on using the method in the recipe, which is different from that used by Ball®. So, the plus side is that if you have been looking for a reason to start preserving at home, you now have a good one. On the minus side, don’t throw away the unused lids by mistake like I did! Ball® do not recommend you re-use the lids, but I have done so and they sealed up perfectly. But they will need replacing and so far, the only place I could get lids was through my trusted kitchen supplier yuppiechef.com. I now have spare lids, and I cannot wait to get in and play around with new and exciting recipes I have so far ignored as I was not so confident about water bath preserving. All the recipes I have tested here will follow in blog posts in the new year. The competition is open to anyone resident in South Africa only and closes at midnight on the 16th of December. The prize is a Ball® Home Preserving Starter Kit and may not be redeemed for cash. The prize will be sent to you from Talitha Utton from Craving Novity. I will not be responsible for the delivery or the non-receipt of the prize. The terms and conditions of this prize are not interchangeable. The winner will be the first randomly selected entry chosen after the closing date. If the chosen winner has not responded within 24 hours of being notified of their win, an alternative winner will be selected. Anyone who has won something on Lavender and Lime will not be considered as a winner again for the next competition. The winner is required to accept the prize as described. No correspondence will be entered into with the prize winner relating to the terms on which the prize is offered. Head on over to the Facebook page for more information about this great new product. 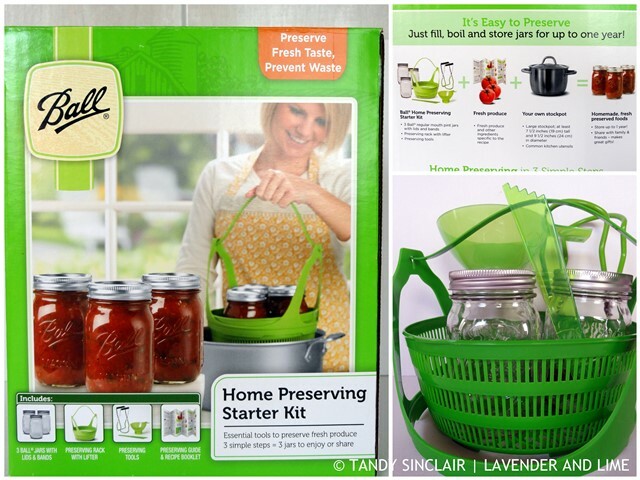 Disclosure: I was asked to give away a Ball® Home Preserving Starter Kit on my blog. I received my own one from Talitha Utton from Craving Novity. This post is in line with my blogging policy. Just a comment to say love the recipes. I am not a big preserver but good luck to SA participants! Hi Tandy, looks like a great contest, too bad I am in the US but gift but someone in South Africa will win a fabulous prize. Happy Holidays! I love homemade preserves! You put the kit to good use, looks delicious! 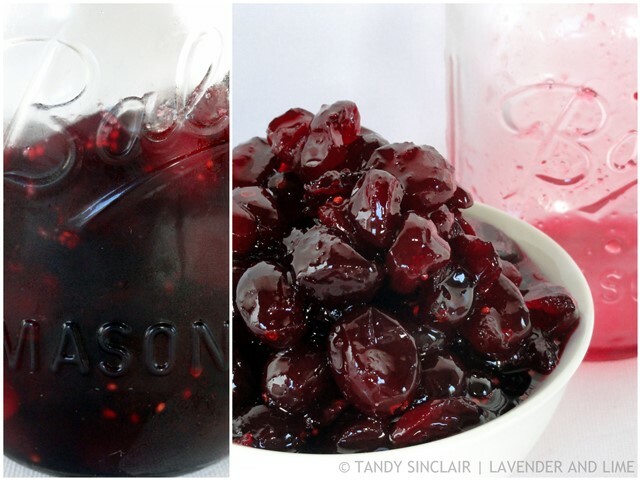 I’ve dabbled a bit in preserving using Ball jars and have loved them – though I never thought to make anything as exquisite as strawberry and lavender jam! I really want to start preserving my own stuff, as I love the thought of being a lot less reliant on store bought stuff and making as much of my own things as I can.